The default product can not be deselected from the comparison. *AutoCAD Inventor LT Suite includes both Inventor LT software and the latest version of AutoCAD LT. AutoCAD Revit LT Suite includes both Revit LT software and the latest version of AutoCAD LT. 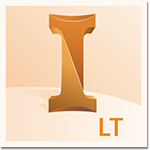 Inventor LT Add 3D mechanical CAD into 2D workflows with part-level parametric modelling. AutoCAD Inventor LT Suite Get Inventor LT and AutoCAD LT at a great value. Create 2D drawings faster and with precision with AutoCAD LT.